There is a bedroom in apartment 1 that is the worst. The walls are covered with siding, there was a large poop smear on the floor, it has a super scary door that leads to the outside and overall it’s nasty. This room we are hoping to be our new and improved master bathroom. 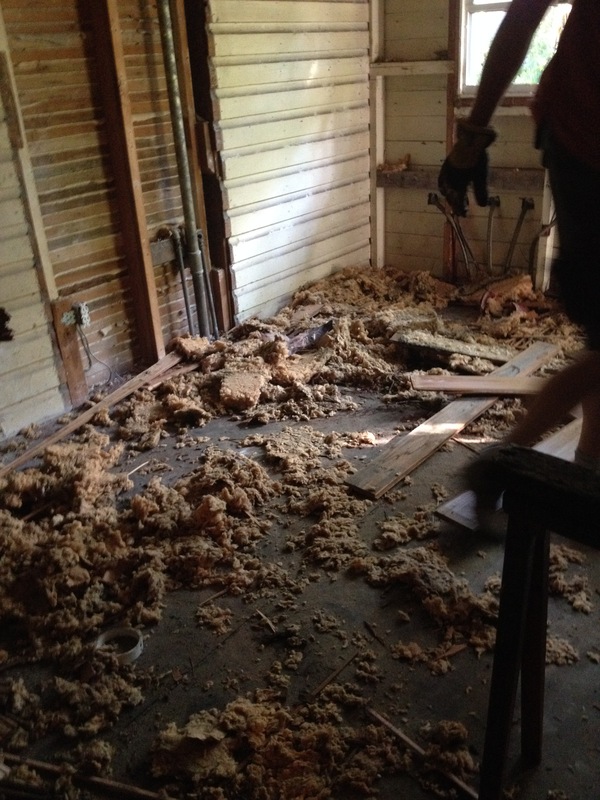 Super Trooper parents have been removing the drywall and paneling from the walls this week which left the ceiling. The night crew arrives and the ceiling is our plan for the night. You know when you just have a feeling that something is going to be so much worse than you expected. Yep. You guessed it, the ceiling. oh my.lucky you, you get a close up 🙂 The paneling itself is just so pretty, not. You must use a crow bar and a hammer to loosen the boards. then when we are not so lucky, we get this nasty blown in, stinky, wretched insulation that falls out of the sky. Oh my word. Don’t breathe. 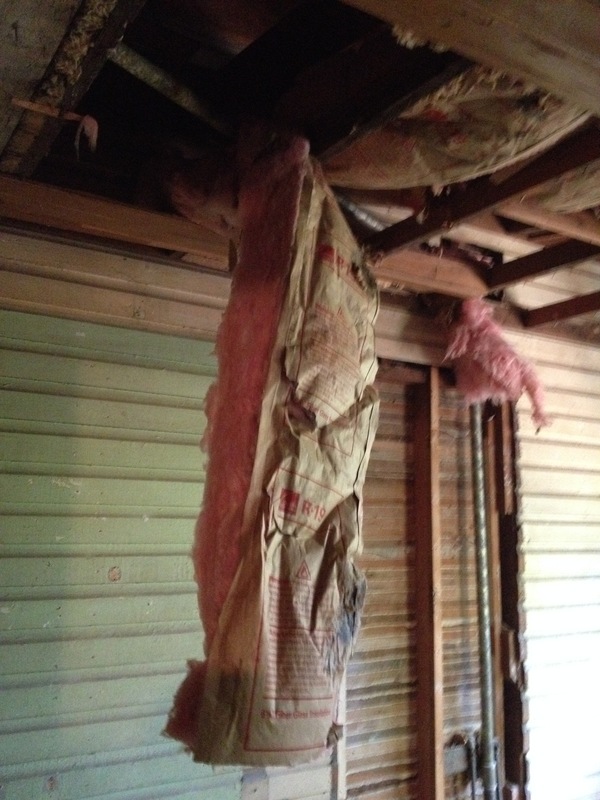 old, dirty insulation is not my friend. This entry was posted in Cinderella Project and tagged Cinderellaproject. Bookmark the permalink. 1 Response to the grossest room yet.